As the sun begins to fade in the west, long shadows slowly creep across the Texas Hill Country. 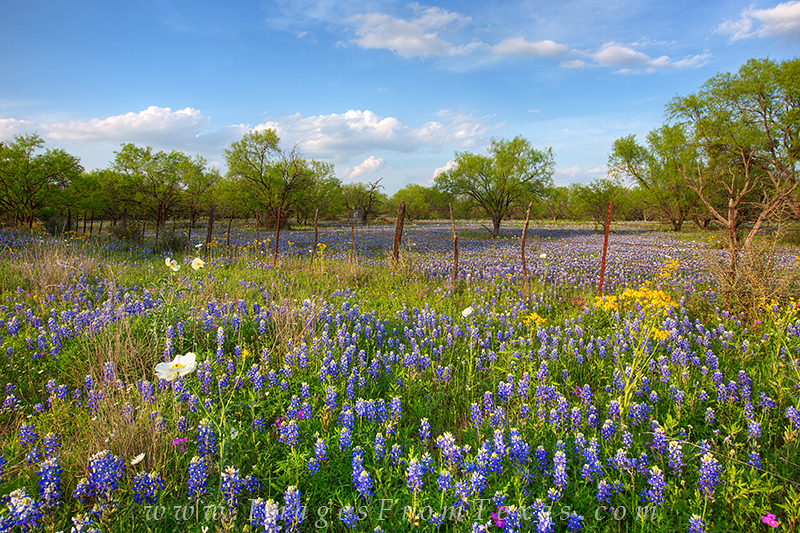 Bluebonnets, phlox, and white prickly poppies ready themselves for evening and all is quiet across down this little dirt road. Photo © copyright by Rob Greebon.